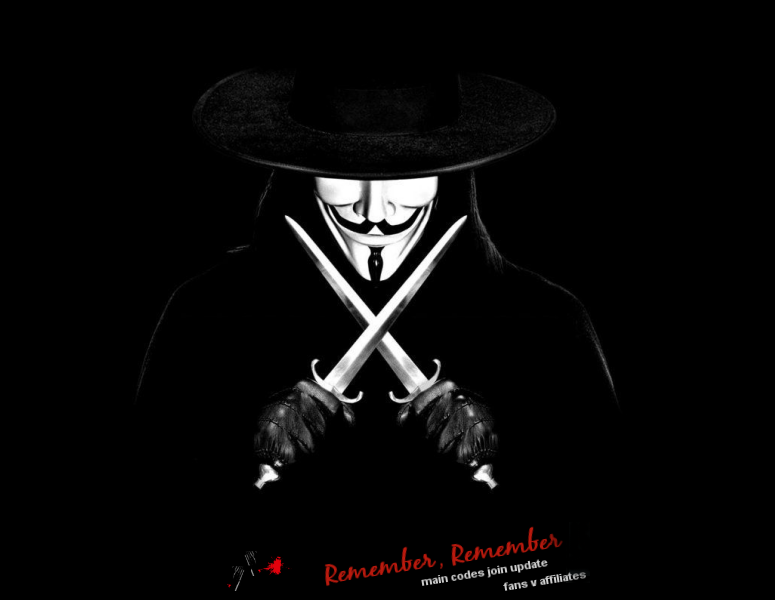 Welcome to Remember, Remember, the fanlisting for the character V, from V For Vendetta! I was intrigued with V from the start. From the look, to his flair, to his mystery, to the way he wields those knives, you just can't help but be drawn in. Or at least I can't! It's left up to you to decide whether he's a hero, a villain, insane, or a combination of all three, but to me he's simply & purely fascinating. A fanlisting is a list of fans from around the world stating that they are a fan of a particular subject. In this case, that subject is V, so if you are a fan like I am, join up! I do not own V, I'm not anyone from V For Vendetta, nor can I get in contact with anyone associated with the movie, comic book series or actors. I am just a fan showing my appreciation.